infinite possibilities open up in your life." There's a lot of uncertainty in my life at the moment, as there has been for a few months now, and although a big part of me would really like to hide away and ignore it all, I'm trying to see the good in it in the hopes that I'll be able to eventually embrace it, and this quote serves as a real reminder for me to do that. 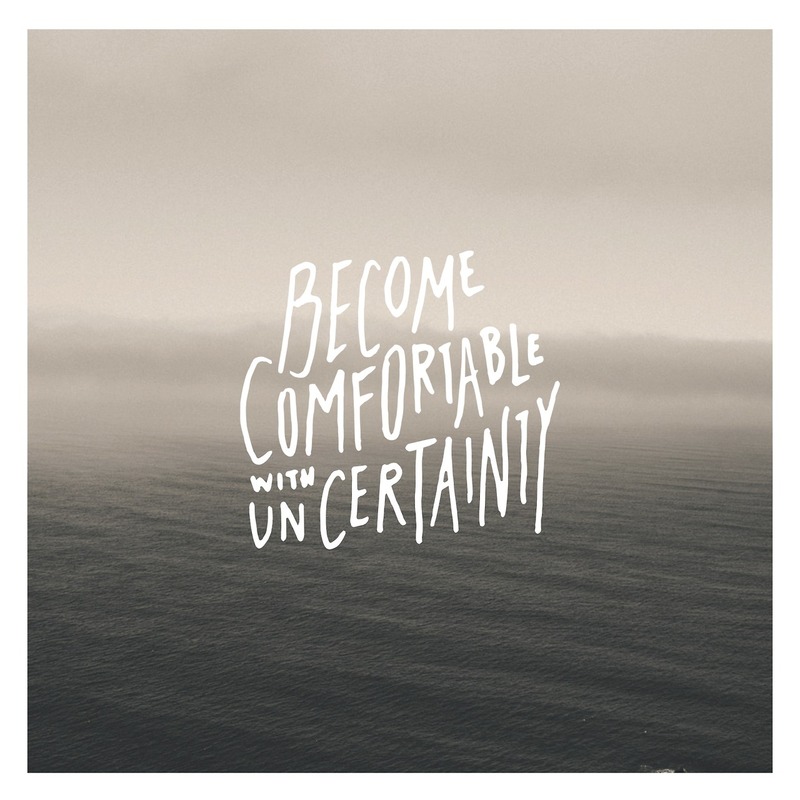 As someone who isn't the biggest fan of uncertainty and tends to find it mostly brings anxiety and stress, the thought of actually 'becoming comfortable' with it is something I struggle with. However, as Tolle says, it opens up many possibilities for us, and when we focus on what could happen rather than the uncertainty itself; or even worse, the possible negative outcomes; uncertainty transforms from a big grey cloud of worry and fear to a much nicer fluffy white one, filled with possibilities and excitement. Because really, when things are uncertain, that uncertainty means things could go in any direction which means that we could end up presented with no end of wonderful opportunities, and that's not something to be scared of at all. Also, when we do become comfortable with uncertainty and decide to see it in a positive light, we become much more open to the opportunities it brings us – we are more likely to notice them, and we are much more likely to welcome them; whether that's the result of the reduced fear that comes with finding comfort amidst uncertainty, or because experiencing a period of time where your life has less direction has allowed you to discover where you would really like your next step to take you, giving you the purpose and confidence to take it, whatever it may be. Uncertainty can be unsettling and scary, but it can also be incredibly exciting and can open so many doors; all we have to do is focus on the positive side of it and do our best to become comfortable with it.